I almost bought the “manly” Coke Zero just to avoid having to drink 12 cans that would clash with my outfit. It’s true – real men drink Diet Coke too. I’m not a fan of the leopard print either, but Becca was pretty excited when she saw the design. It takes all sorts. Also, what’s the silly ticky box under this comment form meant to do? It seems to be showing the first item from the first feed on my site, but why? What will it do if I leave it ticked? What will it do if I untick it? .-= Neil Crosby´s last blog ..Bruce Rushin’s Ã‚Â£2 Coin (1998) =-. If you untick it, your blog will explode. All this is doing is promoting diet pepsi. P.S. Although you are a girl I believe you can actually eat a Yorkie* – frankly I think it might be a marketing ploy and you should stick to Galaxy chocolate which is far superior. .-= BlackLOG´s last blog ..No way or I’ll wail, 3D the way forward and photo disaster =-. I really hate this sort of thing, how do we appeal to women? Oh I know, we paint it pink. At least they’re bothering trying to market things to women though I guess… I hated those yorkie adverts a while back that you weren’t allowed to complain about because otherwise everyone would think it was political correctness gone mad… Urgh! .-= Harriet´s last blog .. =-. 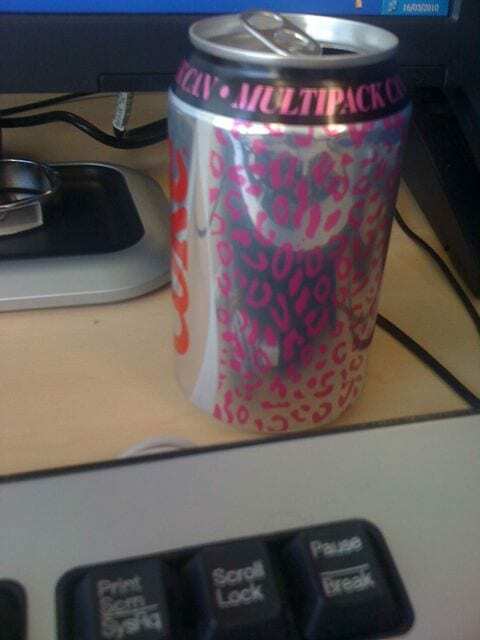 I LOVE pink but that can is just not pretty. .-= Intrinsically Florrie´s last blog ..Bag lady =-. That coke can looks horrific. But, if I liked the taste of diet coke, I’d probably still buy it. I drink diet Vimto – it actually tastes of fruit, hurrah! .-= Claire Q´s last blog ..How recipes should be. For people like me. This is how I think about cooking. =-.